Looking for the best business books? 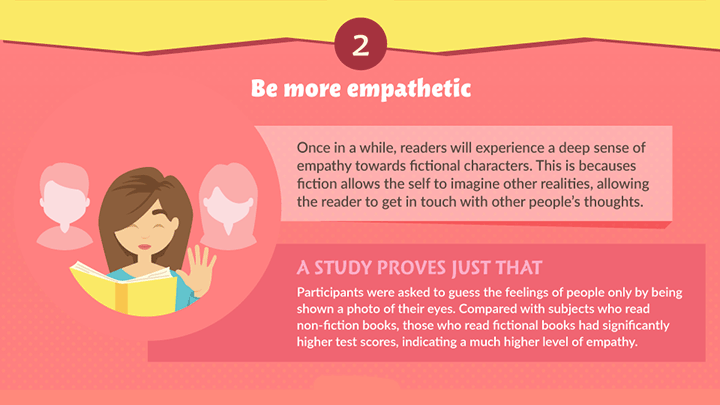 Want to boost your success savvy? 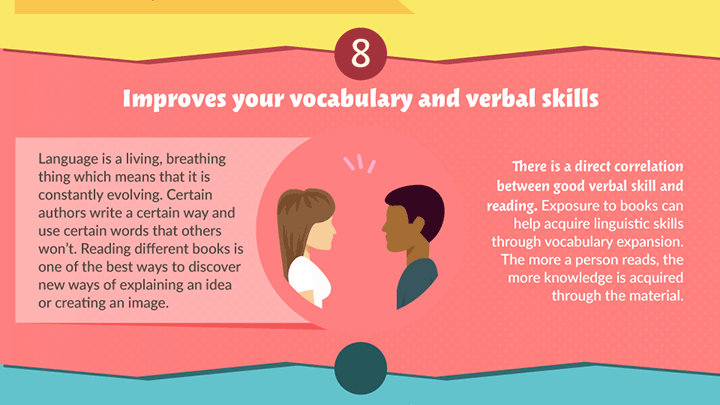 There are many ways to improve your business skills: books, courses, and coaches abound. Courses can cost hundreds, and coaches thousands. Books are a bargain at about $20 a pop! I prefer to learn from books, as reading gives me time to ponder a thought, review it if needed, and really soak it in. If you do too, let’s look at some of the top books to build your business. 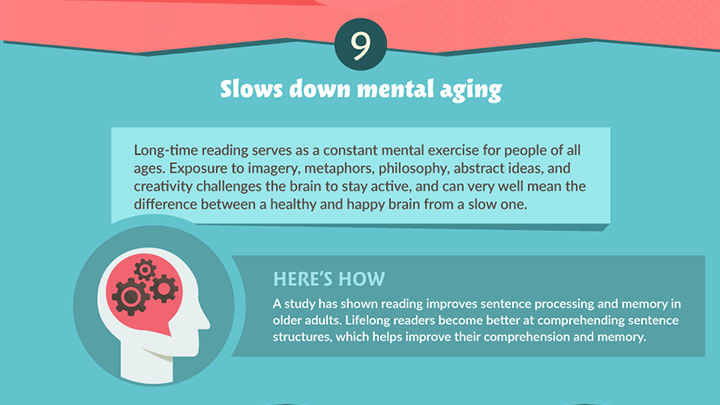 Plus an infographic that depicts why reading is so powerful! I’ve interspersed pieces of it throughout. The full graphic is at the bottom. And to wrap up, towards the end of this article you can download Think and Grow Rich FREE! It’s one of the top business books of all time. I even made a beautiful cover for you. Enjoy! Find gifts for an entrepreneur. Check out at your library. Buy for your bookshelf or Kindle! This one’s a must for business, and for life! When it was first published in 1989, The 7 Habits of Highly Effective People was an almost instant bestseller – and quickly became a permanent part of the cultural lexicon. With over 25 million copies sold worldwide in over 40 languages since its first publication, this book continues to help millions of readers become more effective in both their personal and professional lives. This is one of the rare books that has influenced presidents, CEOs, educators, and individuals all over the world not only to improve their businesses and careers but to live with integrity, service, dignity, and success in all areas of life. It has had an undeniable impact for the past 25 years – and will no doubt continue to be influential for many more. You can probably find this one at your library – but it’s so essential, you might need it on your bookshelf. Another classic! This one by Dale Carnegie. Achieve your maximum potential—a must-read for the twenty-first century with more than 15 million copies sold. If you don’t have this one yet, it’s definitely worth reading – and rereading. A modern classic by Tim Ferriss, with over 100 new pages of cutting-edge content. If you want to work less, earn more, and have more fun in the process, this one’s for you! Forget the old concept of retirement and the rest of the deferred-life plan – there’s no need to wait and every reason not to, especially in unpredictable economic times. The new expanded edition of Tim Ferriss’ The 4-Hour Workweek includes more than 50 practical tips and case studies from readers who have doubled income, overcome common sticking points, and reinvented themselves using the original book as a starting point. And so much more! If you think you can, you will! If you think you can’t – well, it’s never gonna happen. This is the best self help book any entrepreneur could ever read. Perhaps the only one they need to. Truly transformative. The text of this book is in the public domain – which means I can offer a PDF of this book to you, absolutely free. 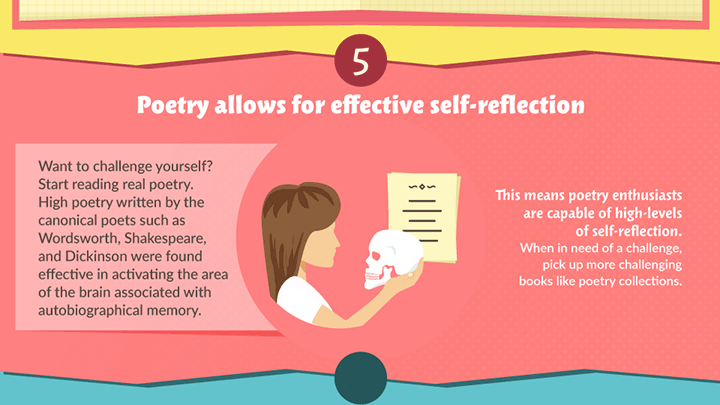 Read on, there are a lot more valuable books to discover. The download is at the end of this article. Already read 7 Habits? Here’s another you’ll love. Because habits are powerful! This New York Times best seller explores how we can change our lives by changing our habits. In The Power of Habit, award-winning business reporter Charles Duhigg illuminates scientific discoveries that explain why habits exist and how they can be changed. Distilling vast amounts of information into engrossing narratives that take us from the boardrooms of Procter & Gamble to the sidelines of the NFL to the front lines of the civil rights movement, Duhigg presents a whole new understanding of human nature and its potential. By harnessing this new science, we can transform our businesses, our communities, and our lives. Ready to build some new habits? I love Malcolm Gladwell’s books! And I love being “different,” so this book’s definitely a favorite of mine. Malcolm Gladwell takes us on an intellectual journey through the world of “outliers” – the best and the brightest, the most famous and the most successful. He asks the question: what makes high-achievers different? Why do some people succeed, living remarkably productive and impactful lives, while so many more never reach their potential? He believes we pay too much attention to what successful people are like, and too little attention to where they are from: that is, their culture, their family, their generation, and the idiosyncratic experiences of their upbringing. He explains the secrets of software billionaires, what it takes to be a great soccer player, why Asians are good at math, and what made the Beatles the greatest rock band. As entrepreneurs, we all have too much to do and too little time! What if we could get more done in less time? You’ll learn that there is no single means for perfecting organizational efficiency or productivity. Find a variety of tools to focus your energies strategically and tactically without letting anything fall through the cracks. His workflow management plan has two basic components: capture all the things that need to get done into a workable, dependable system; and discipline oneself to make front-end decisions with an action plan for all inputs into that system. In short, do it (quickly), delegate it (appropriately), or defer it. Do you also need to get more done – without working 24/7? Small business consultant and author Michael E. Gerber points out how common assumptions, expectations, and even technical expertise can get in the way of running a successful business. He walks you through the steps in the life of a business — from entrepreneurial infancy through adolescent growing pains to the mature entrepreneurial perspective: the guiding light of all businesses that succeed — and shows how to apply the lessons of franchising to any business, whether or not it is a franchise. Most importantly, Gerber draws the vital, often overlooked distinction between working on your business and working in your business. If you want to grow, you need to grasp this difference! Michael Gerber’s The E-Myth Revisited should be required listening for anyone thinking about starting a business or for those who have already taken that fateful step. The title refers to the author’s belief that entrepreneurs – typically brimming with good but distracting ideas – make poor businesspeople. He establishes an incredibly organized and regimented plan, so that daily details are scripted, freeing the entrepreneur’s mind to build the long-term success or failure of the business. You don’t need an M.B.A. to understand or follow its directives; Gerber takes time to explain buzzwords and complex theories. Read in a clear and well-paced manner, listening to The-E Myth is like receiving advice from an old friend. Here’s another one I really enjoyed. The author, Cal Newport, is a university professor and blogger! Our lives are so busy and our days so fractured. Deep work is the ability to focus without distraction on a cognitively demanding task. 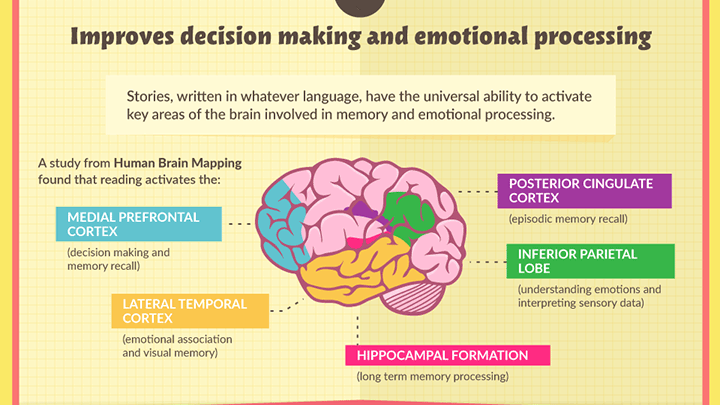 It’s a skill that allows you to quickly master complicated information and produce better results in less time. Deep work will make you better at what you do and provide the sense of true fulfillment that comes from craftsmanship. In short, deep work is like a super power in our increasingly competitive twenty-first century economy. And yet, most people have lost the ability to go deep-spending their days instead in a frantic blur of e-mail and social media, not even realizing there’s a better way. Want to learn the better way? Another one from my bookshelf. If you want to help people, you have to persuade them to take action. It’s not a bad thing! Because otherwise, most humans will just stay put. Wouldn’t your product or service solve their problem – if you could get them motivated to dive in? Influence, the classic book on persuasion, explains the psychology of why people say “yes” – and how to apply these understandings. Dr. Robert Cialdini is the seminal expert in the rapidly expanding field of influence and persuasion. His thirty-five years of rigorous, evidence-based research along with a three-year program of study on what moves people to change behavior has resulted in this highly acclaimed book. You’ll learn the six universal principles, how to use them to become a skilled persuader – and how to defend yourself against the ones that don’t benefit you. The principles of Influence will move you toward profound personal change and act as a driving force for your success. Want to influence others for their own good? Life is too interesting not to learn more about it. When building our own business, however, most of us become so immersed in our project that we can develop tunnel vision. To stay competitive in business, you must be a lifelong learner. 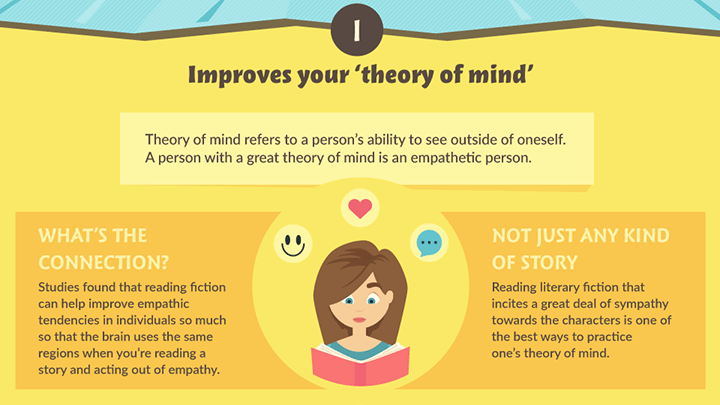 This is where reading books about business becomes an essential component to success. Whether these books are how-to’s, memoirs of other successful business people, analytical books, or anything in between, reading about what other people have learned in their own businesses can help you grow your own. Books can help you see things from a different perspective and inspire you to try new things. 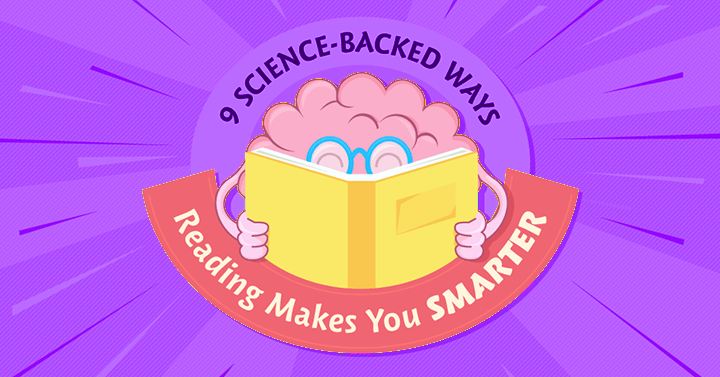 While reading business books is enough to get you excited, you should also know that regular reading throughout your life can gear you not only towards business success, but a better brain. 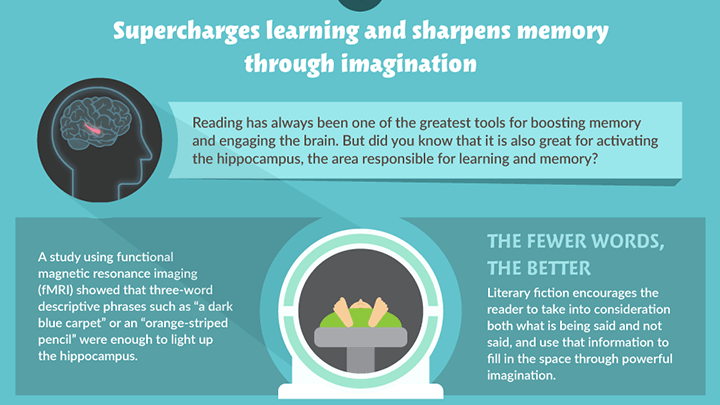 As Global English Editing‘s infographic shows, those who read acquire more knowledge, have a greater vocabulary, and a better imagination. 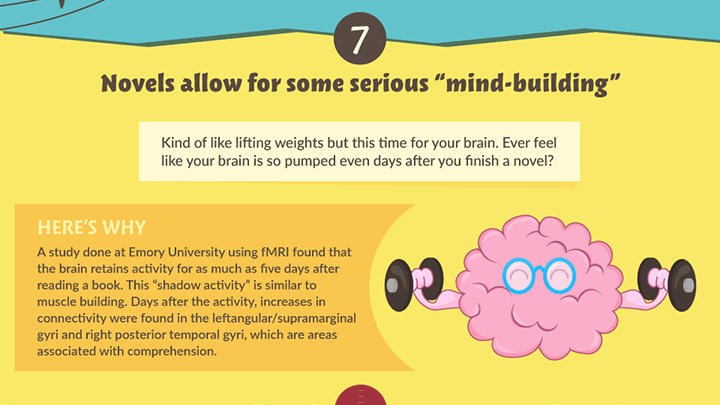 Mental stimulation throughout life will also help stave off cognitive decline. I know I need this – do you, too? 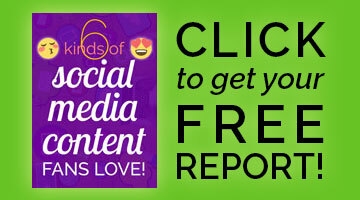 If so, check out the infographic below the free download! Think and Grow Rich free PDF download! In 1908 a small-time reporter named Napoleon Hill was invited by steel magnate Andrew Carnegie to interview millionaires. The purpose? To discover the secrets behind their success. First published in 1937, Think and Grow Rich is the culmination of 25 years of work. That this book has remained in print as a top selling business book for over 80 years says a lot the potency of the message contained within. Now you can download it free! No email required. 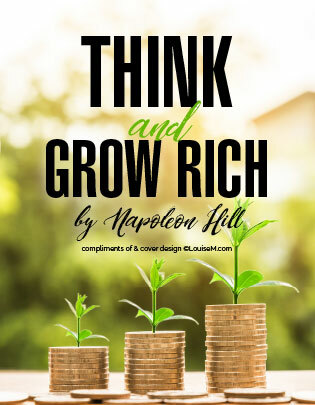 Click here to download Think and Grow Rich with a beautiful custom cover. 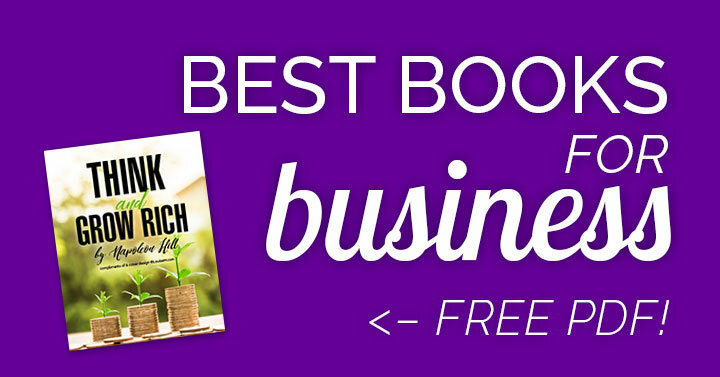 I hope you enjoyed this compilation of the best small business books! Did I miss one of your favorites? Leave a comment to let me know your favorite business books to read. Amazing post…. I’ve read a few books mentioned above – Think And Grow Rich, Outliers…. Recently I’ve purchased Deep Work. I hope the book would be a life-changing read. I love all those! Enjoy. First of all, thanks for sharing your book list. I have read these books and the book which I like most is think and grow rich by napoleon hill. The author mentioned all the real things which could happen in opening a business, and the ways to get rich step by step. Glad you liked it! I hope more folks will avail themselves of this free PDF.